How Does The Pool Contractor Approach Your Project? 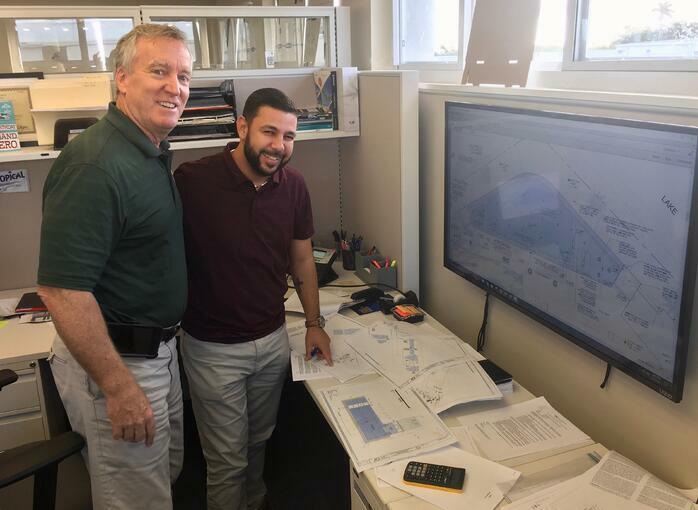 First impressions do matter—and so does a contractor’s ability to listen, process your requests, and translate the pool plans you provide into a complete construction proposal. At Reef Tropical, we take the time to discuss in detail clients’ visions for their pool/spas—and their entire outdoor paradise. And, we take those dreams and drill down into specifications: elevations, necessary equipment to complete the job, specialists and craftspeople who will lend their talents to the project. 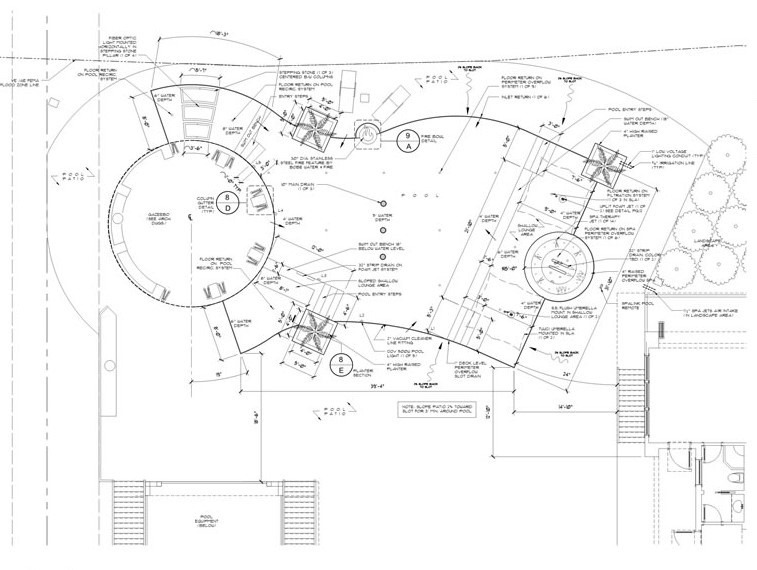 Does The Pool Contractor Understand The Plans? Pool plans are intricate, detailed and involve mechanical systems, architectural renderings and engineering specifications. Does the pool contractor have the expertise and experience to truly understand what the plan is conveying? While some contractors might claim they “get it,” and the pool plan is “no problem”—we often find that couldn’t be further from the truth. And, if you are preparing to spend $150,000 or much more on a luxury pool/spa for your South Florida home, you want to be sure the professional you hire to build the pool structure is extremely well-versed in interpreting and executing complex pool plans. Can The Pool Contractor Accurately Articulate The Scope of Work? At Reef Tropical, we pride ourselves on providing compete pool proposals that include everything it takes to take a pool project from conception to final product. While the cost may be more than another proposal—there are no hidden fees. Also, understand allowances in the pool proposal and how materials selections will impact the final cost. How will the contractor handle “unknowns” and what should you expect, as the client? Does The Pool Contractor Have An Estimating Department? 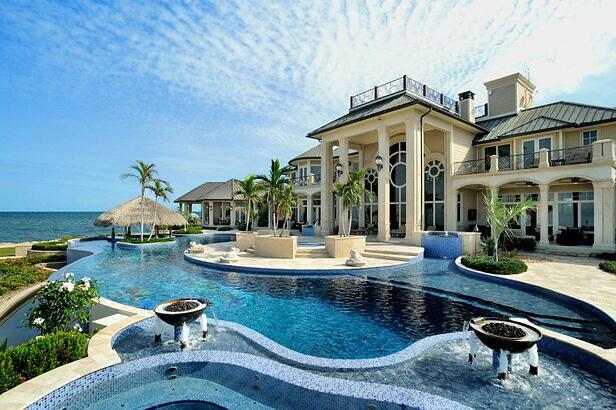 Who is performing the pool construction estimate? How thorough is the professional who reviews your property—and how much time do they take to really analyze your site, the plan and potential challenges? We often run into pool contractors that aren’t capable of seeing a complex project through to completion because once they run into an issue, they aren’t qualified or experienced enough to manage it. Or, they don’t have associations with specialists who partner with them to handle specific mechanical, engineering or even aesthetic tasks. So, of course, a pool proposal that does not figure in the complexities of a detailed pool plan will be priced lower than one that accounts for the expertise required to truly get the job done right. Pro Tip: Take the time to really vet the pool contractors you are considering for your project. And, find out if the company has an estimating department that is dedicated to thoroughly assessing the site, the pool plans and other key details. At Reef Tropical, we have dedicated estimators that meticulously review pool construction plans, highlighting every detail. It can take up to six hours (or more) to accurately price a pool project. The process involves understanding what equipment must be used to specifying and pricing out materials. We also consider aspects of the project such as staging equipment, removing fill (soil), parking and access. These are all factors that can add cost to a project if they are not included in the initial proposal. Change orders add up! What Training And Certifications Does Your Pool Professional Have? At Reef Tropical, our construction staff is OSHA certified and our superintendents and project managers have OSHA 30 training. Our director of project manager is SWD-registered by Genesis and the National Swimming Pool Foundation. Our staff engages regularly in continuing education projects through Genesis—keeping up on the latest pool construction technology and modern techniques is critical for creating the luxury pools and spas our high-end clients demand. We attend industry trade shows and conferences, including the International Pool Show. Education is a part of our culture. Is The Pool Contractor Properly Connected & Insured? Does the pool contractor have healthy relationships with distributors of equipment and subcontractors to provide specialty work? Long standing and trusting relationships here are hard to build. An equipment supplier should provide ample credit to a pool builder to purchase equipment. Also, does the pool construction company you choose hold the proper insurance? That includes general liability insurance and workers’ compensation coverage. Ask the company what safety programs they have in place. You want a provider that walks the talk. Pro Tip: Ask the pool constractor who they purchase thier equipment from. Look for an industry reference. Ask the contractor to be specific with coverage. What are their limits? Who is their insurer? Reef Tropical is fully insured with general liability and workers compensation, along with a $5-million umbrella. We have insurance that covers pool service, repair and construction. Can The Pool Contractor Provide References And Work Examples? Ask the pool contractors providing proposals to give you references—and call them! Ask for photographs of their work work—projects similar to the one you are planning. Pro Tip: When you call references, ask about their experience working with the contractor. How did they handle unexpected challenges? Did the contractor communicate effectively? How did they resolve issues? What specialists did they bring on to the job? How did subcontractors perform? What was their overall impression of the pool construction project? Is The Contractor A Full-Service Firm That Offers Pool Maintenance? Be sure the pool contractor approaches the project with a long-term perspective. You want the contractor to be thinking beyond construction—what is the maintenance and serviceability of the pool? (Keeping service in mind during the construction process can alleviate mechanical issues and other problems down the road.) The pool contractor should have a partnership with specialists in pool equipment and maintenance—and ideally, the company should offer service in-house. Pro Tip: A pool contractor with an in-house maintenance division takes service into account during the construction process. 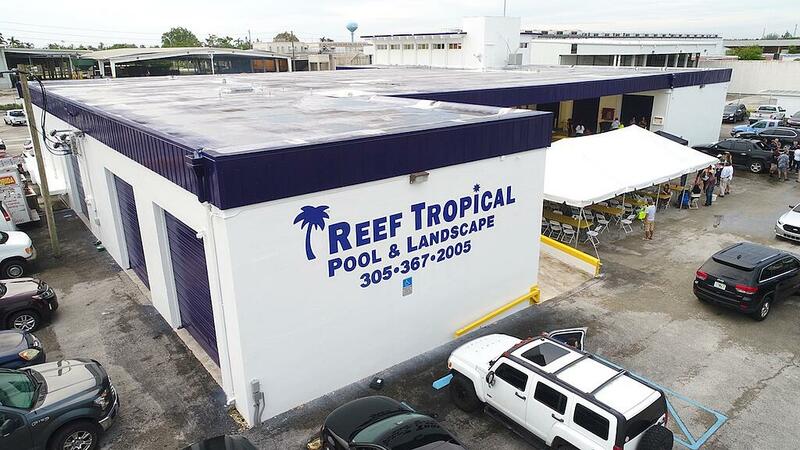 At Reef Tropical, we are honest with clients and can let them know from the get-go whether an idea will actually work because of our expertise in pool construction and maintenance. (Other companies might agree to an idea, price it and go with the flow—and this can result in costly challenges down the road.) For these reasons, we recommend discussing service during the estimating process. A lower price on a proposal can be deceiving. What exclusions are not included in the fee? Has the pool company accounted for equipment, subcontractors, specialists and included an allowance for potential issues that can crop up? Keep in mind, it costs more to fix mistakes than to build a pool correctly the first time—and those lower-priced proposals are a red flag that a contractor could be taking short-cuts. That’s why we recommend carefully vetting a pool contractor by touching on all the points we mentioned here before you sign a contract. And, don’t forget to ask if the pool provider also services pools and spas. This is important! A full-service pool construction and maintenance company will take into consideration issues related to maintenance during the building process. This can ultimately save you money in maintenance, and preserve the integrity of your pool over the long-term. Let’s talk more about what to look for in a quality pool and spa construction company. We’re here to answer your questions! Call us any time at 305-367-2005, or fill out this simple contact form and we’ll get in touch with you.